It was the third week of a nearly month-long trip when my lovely wife Anna and I arrived in Los Angeles for the 2018 installment of the Society of Voice Arts and Sciences signature weekend featuring the That’s Voiceover expo and the Voice Arts Awards gala. We were joined by a gaggle of friends and colleagues who help make our various industry business ventures run smoothly, including JMC Demos Lead Audio Engineer AJ McKay, brilliant media manager Brigid Reale, and the multi-talented Jenn Henry who supports us in so many ways. This weekend has become an annual pilgrimage for us, and is always the highlight of our November. 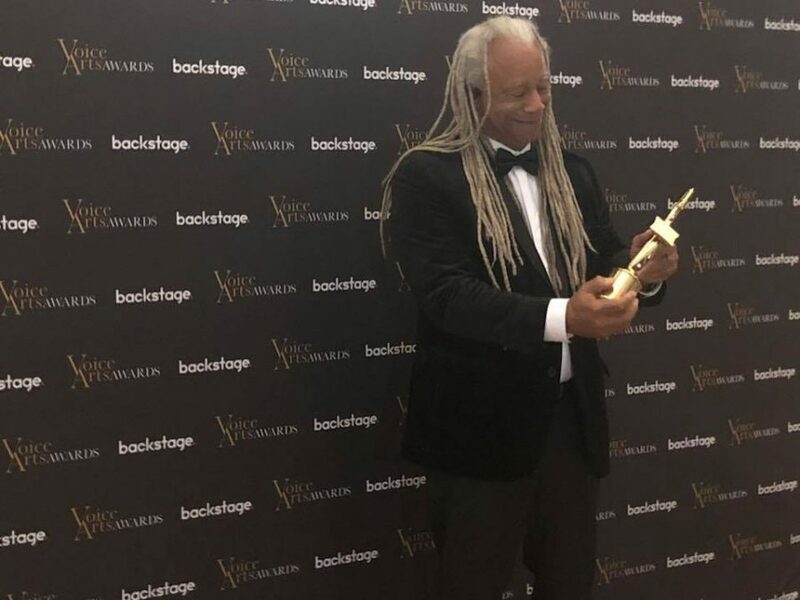 Over the past few years we have witnessed both the That’s Voiceover expo and the Voice Arts Awards emerge as industry-defining forces, where careers are advanced and talent dreams come true as they are recognized for their hard and often lonely work. The glitz and glamor isn’t everyone’s cup of tea, but I have come to see it as a much-needed boost for voice actors who are too often isolated in their booths, toiling day after day without recognition beyond that of appreciative clients. Our industry is packed with talent who deserve a moment in the sun, and the SOVAS weekend offers them just that. That’s Voiceover, held this year at the Sheraton Universal hotel for the first time, was a tremendous start to the weekend. Easily the best iteration to date of this event, a well-laid out space made for great networking opportunities throughout the day, and created a buzz and social dynamic that was a match for any event in the industry. Packed from start to finish with quality content, including the voice of Bart Simpson, Nancy Cartwright, and dozens of other industry leaders, the sense of enrichment gained by the attendees was clear. For the fourth year in a row it was my honor to present the SOVAS Academic Scholarship, this year awarded to Paul Cartwright. The festivities didn’t end there, though. Sunday brought possibly record sales for local makeup artists and hairdressers as voice actors from around the world made themselves red carpet-ready. And the red carpet didn’t disappoint. 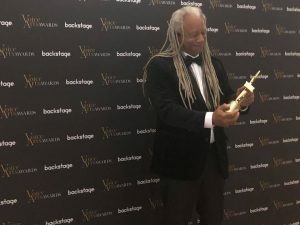 Featuring celebrity power in the form of Sigourney Weaver, Rosario Dawson, Van Jones, and others, the who’s who of voiceover made themselves at home as they celebrated their various nominations and those of their friends. Joan Baker stunned as always in a dress for the ages, and scores of dapper attendees made their way into the Warner Brothers Theater to witness an evening celebrating the best of our business. It was a personal honor to see almost a dozen coaching clients nominated this year, and to watch Kabir Singh & Tara Langella, among others, walk away with hardware for their performances. The JMC Demos family was rewarded for another year of hard work as three of our clients, Dave Fennoy, Rosi Amador, and Jodi Krangle were recognized for Outstanding Promo Demo, Outstanding Commercial Demo, and Outstanding Narration Demo, respectively. With another year in the books, the glamorous crowd took to the Warner Brothers lot for an epic after party, where the vibe was unmistakably one of camaraderie and solidarity. In an industry that is undergoing seismic shifts in the way we do business, and where interests not always aligned with what is best for talent are constantly encroaching at the margins, it is a privilege to have a weekend dedicated to raising a glass to those who make our business great, and to watching friends and colleagues bask in the limelight that their talent deserves. We can’t wait for 2019!